The United States was recovering from the Great Depression in the 1930's and the railroads decided that it was time to create a new impetus to increase travel. 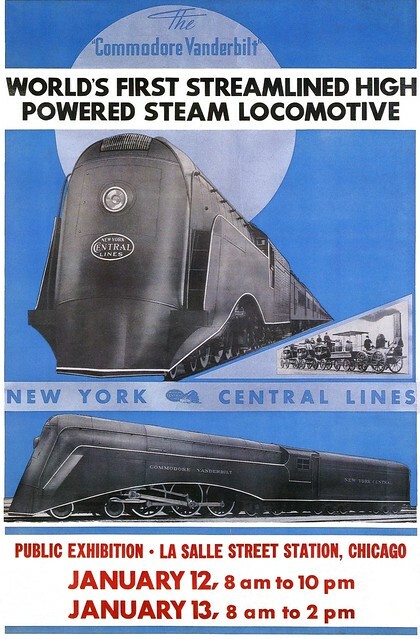 Streamlining was the latest advent in industrial design and plans were made in 1934 by the New York Central System to produce their first streamlined locomotive, which would be named after the founder of the railroad, Commodore Vanderbilt. It is an ironic fact that Vanderbilt, who had been seriously injured in a train wreck, disliked railroads intensely but later went on to establish the NYC and shape railroad history. The design of the Commodore Vanderbilt was the creation of Carl F. Kantola, whose career at the NYC spanned 47 years. NYC Hudson No. 5344 was selected to be used as the prototype and was suitably modified to accept its streamlined shroud, which had been developed by the Case Institute of Technology. In December 1934, the project was complete. The shrouding, finished in gun metal gray, was applied to “Hudson” Locomotive 5344 in December, 1934. From a public relations standpoint, it was a smashing success–its photograph was everywhere, and crowds swarmed to view the new sensation. New York Central liked the engine enough to run it more than 18,000 miles each month, for some two and a-half years, starting in February, 1935, on the 233-mile portion of the “Century’s” route between Toledo and Chicago. The new design seemed to conjure up a future that was bright, in the midst of the Great Depression, an optimism born of new technologies as showcased by the Art Deco design movement, of which streamlining was an important element. Many other railroads scrambled to streamline their locomotives, however, the NYC has the distinction of being the first US carrier to do so. Little is know about any performance changes which resulted from the streamlining, but it can be speculated that the drag reduction probably resulted in a fuel savings. 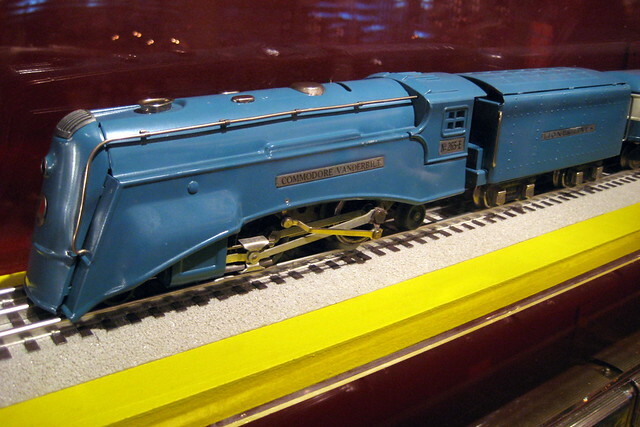 The Commodore Vanderbilt proudly pulled the “20th Century Limited” until the fall of 1937, when it was pulled from service to be restyled by Henry Dreyfuss, one of America’s most talented industrial designers. The restyled “Hudson” locomotive went into service with its ten sisters early in 1938 on the “20th Century Limited”. All shrouding was removed during the mid 1940's. P.S. It is a pilot of my new weekly column dedicated to streamlined locomotives (steam and diesel, electric and turbine) from different parts of the world: United States and Australia, Russia and Japan, France and Great Britain, Germany and Poland. Streamlined trains of the 1930s-1950s should never be forgotten. Special requests are appreciated. I can just imagine her in action. What a site that must have been. Some great trains are already here. You can browse articles tagged "rail". I love trains, and I really love this loco. I'm really looking forward to your future installments!